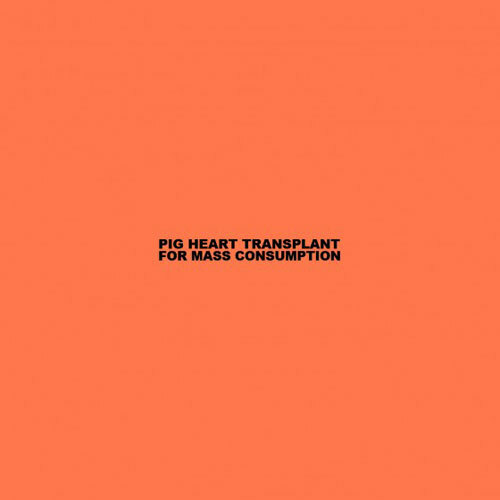 Cvlt Nation is currently punishing the masses with a double-dose of distressing no-wave industrial mayhem courtesy of PIG HEART TRANSPLANT – the solo project of Iron Lung’s Jon Kortland – culled from his second full-length, For Mass Consumption, which is nearing release this September via 20 Buck Spin and the band’s own Iron Lung Records. The second and third tracks Film and Gift offer just enough of the album’s surreal, noise-infiltrated, nightmare soundtrack characteristics to send most normal humans straight to the bomb shelter or panic room, but for the more adventurous listeners, these two tracks will serve as bait, and draw them into the madness of For Mass Consumption like flies to the fire. Sample the destructive psychosis of PIG HEART TRANSPLANT at Cvlt Nation. 20 Buck Spin is also streaming the LP’s fourth track, Born, at THIS LOCATION. While Kortland’s main focus is splitting duties in surgical powerviolence duo, Iron Lung, with PIG HEART TRANSPLANT the artist explores an entirely different dimension of musical terror. Here he delivers both a vicious beating and violent outcome, however the operating methodology is an entirely different animal; slow, churning, industrial, electronic, painfully percussive, a bureaucratic nightmare of State Power with gears grinding the individual into a hallow shell, perfectly molded into one of Them. This is 1984. For Mass Consumption is composed of twenty-eight tracks, each approximately forty-four seconds long, each song bearing a four-letter word, structured in a perfectly palatable way for optimum group adoption and mindless adherence to common purpose. Electronic manipulation, no wave guitar noise, abrasive hammering and eerie synthetic ambiance imbue the listener with the seedy malaise of manipulation on a societal scale. One might recognize the pulverizing brutality of early Swans on tracks like Film or Pigs, the pulsing throb of Brighter Death Now and IRM on Coma or even Robert McNaugton’s soundtrack work for Henry: Portrait Of Serial Killer on 1970 or 1980. For Mass Consumption will see release via 20 Buck Spin in North America on September 2nd and September 8th in Europe. Vinyl and cassette editions will follow via Iron Lung Records shortly after.